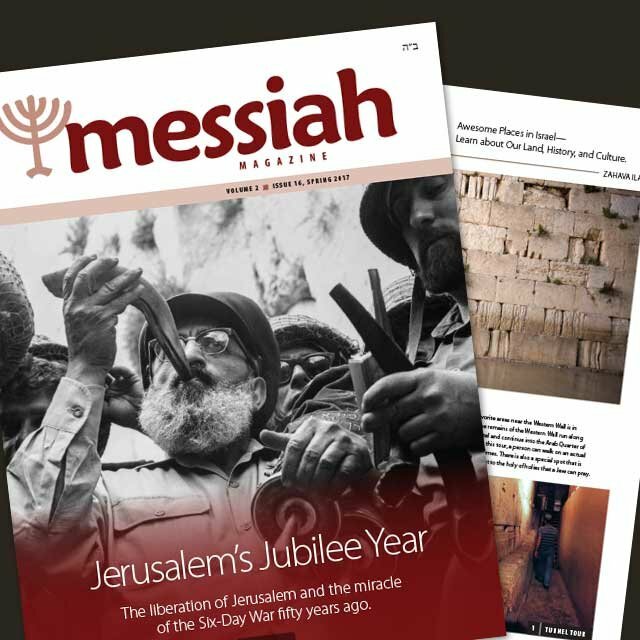 The following article is an excerpt from Messiah Magazine #16, Spring 2017. To read the entire article, become an FFOZ Friend and have access to this and all previous issues online. To request a free subscription to receive future issues click here. 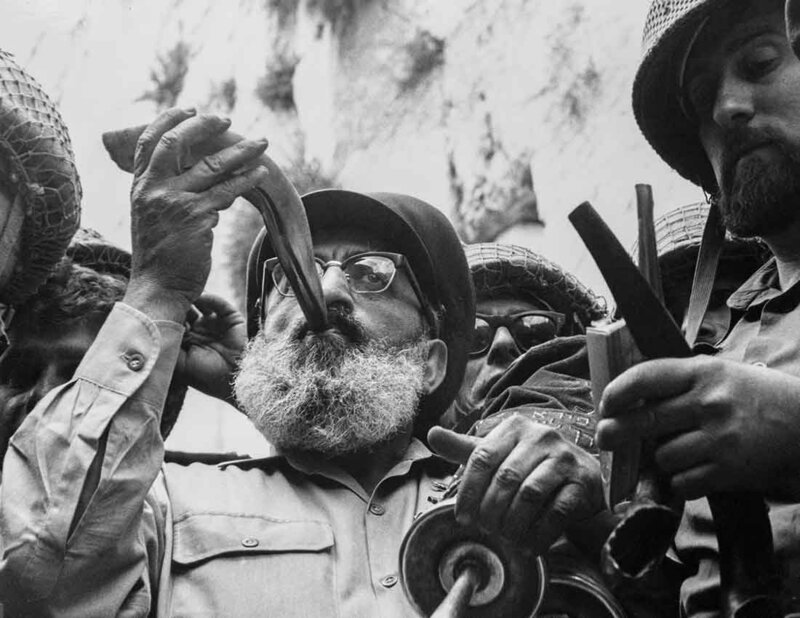 Fifty years ago, during the dramatic events of the Six-Day War, the entire world saw a great miracle as God made war against Israel’s enemies and redeemed the holy city of Jerusalem. Israel’s sweeping victory against the seemingly insurmountable opposition of surrounding nations is one of the great miracles of the modern era. Within that great, overarching miracle are uncounted smaller miracle stories about God’s hand at work in the midst of the conflict, assisting his people in an obvious and revealed manner. This article records a few of the big miracles and a few of the small ones. Twenty years before this war, Israel’s War for Independence had concluded with a ceasefire that had left Jerusalem divided in two. The entire Old City, including the Temple Mount, the Western Wall, and other holy sites, had been put under the control of the Jordanians. Venerable synagogues of the Old City had been left in ruins. For nearly two decades afterward, Jews were not allowed to enter Jerusalem’s walls or pray inside the city. 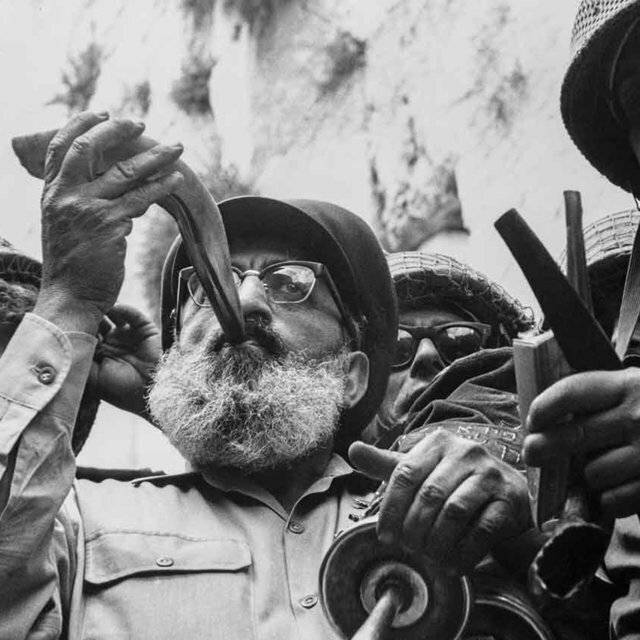 All that changed in June 1967, when God unleashed a miracle of biblical proportions in the form of the Six-Day War. By the end of the war, Israel had crushed enemies to the north, east, and south and tripled her territory. Moreover, Jerusalem was reunited as a free city under the Israeli flag. On May 15, 1967, as the people of Israel celebrated Independence Day (Yom Atzmaut), the Israeli government received some bad news. It had been exactly nineteen years since the declaration of the Jewish state and the beginning of the War for Independence. That same day in 1967, it seemed that the unfinished war had resumed as the Israeli government learned of Egyptian forces massing in the Sinai under the command of Gamal Abdel Nasser. Egypt, Syria, and Jordan, along with Iraq, went on alert and placed their forces on a war footing, ready for invasion and war against Israel. The next day, the Egyptians told United Nations peacekeepers in the Sinai to leave. The UN withdrew without raising an objection. A week later, the Egyptians closed the Straits of Tiran to Israeli vessels. Meanwhile, in the north, Syria had already begun lobbing shells into Israel from their high perches on the Golan Heights. Israel declared the closing of the straits to be an act of war, but the nation cowered at the thought of facing the combined forces of Egypt, Jordan, Syria, and Iraq. The allied Arab forces could boast nearly half a million troops, almost twice what Israel could muster, even with its reserves. Backed by the Soviet Union, the Arabs possessed more than twice the number of tanks and four times the number of aircraft Israel had. Israel turned to the United States for help, but the United States—fearful of the Arab states’ Soviet allies—refused to intervene. The Israelis solemnly prepared for a massive slaughter. They readied hospitals and designated whole national parks as cemeteries for the anticipated casualties. A spirit of fear and despair hung over the nation. It seemed that the dream of a Jewish state, so recently realized, was about to be snuffed out. 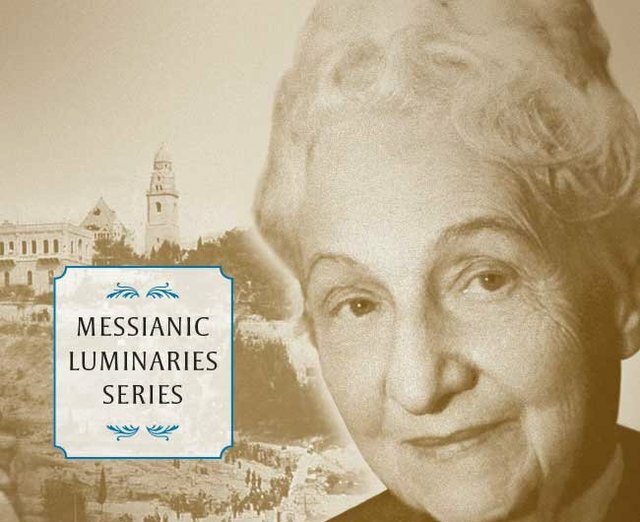 People spoke pessimistically of a looming second Holocaust, but a few rabbis and holy men predicted a miraculous salvation. The Lubavitcher Rebbe, for example, predicted God’s intervention and a great victory. He quoted the verse, “All the peoples of the earth shall see that you are called by the name of the LORD, and they shall be afraid of you” (Deuteronomy 28:10). By June 5, the outbreak of hostilities seemed inevitable. Five Egyptian divisions of ground troops and two divisions of armor occupied the Sinai, ready to roll into Israel. Hundreds of tanks stood ready opposite Eilat, prepared to topple the Negev. The Jordanian army had placed thousands of soldiers and hundreds of tanks in the West Bank and along Israel’s eastern border. Reinforcements from Iraq stood ready. On the northern border, Syrian soldiers on the Golan Heights dug in for a long fight. Before the Arab nations could strike, Israel launched preemptive airstrikes against Egyptian airfields. As the Israeli Air Force took to the sky, the first miracle of the war occurred. Jordanian radar detected the planes and tried to warn Egypt, but the Egyptians had changed their coding frequencies the previous day and had not yet updated the Jordanians with the new codes. The message never went through, giving Israel the element of surprise. The Egyptians had no time to react. The Israeli Air Force destroyed six Egyptian airfields and hundreds of Egyptians planes. In a single day, Israel destroyed the Egyptian and Syrian Air Forces. The Egyptian Air Force never even had a chance to leave the ground. That same day, the Israelis launched a ground offensive into the Gaza Strip and the Sinai, catching Egyptian troops completely by surprise. Israeli tanks and ground forces rolled into the heavily defended Sinai and quickly punched a hole through the lines. They advanced so rapidly that, again, the Egyptian forces scarcely had time to react. The speed of the Israeli advance placed at least one Israeli tank crew in a vulnerable position. They found themselves lost in the Sinai and surrounded by Egyptian posts. The tank commander prayed, “HaShem, you led our ancestors through this wilderness with a pillar of fire. Please show us the path on which you led our fathers out from this place.” Incredibly, the crew spotted a ridgeway, as if illuminated from above, that led them through the rugged territory, away from enemy posts, and back to safety. On the first day of the war, the Israeli ground forces had overrun the strategic road junction at Abu-Ageila to gain access to the central route into the Sinai Desert, sending a wave of panic through the Egyptian command. In Bible times, God often assisted the people of Israel on the battlefield by throwing the Canaanites, Philistines, Arameans, and other enemies into panic and confusion. The Torah says, “I will send my terror before you and will throw into confusion all the people against whom you shall come, and I will make all your enemies turn their backs to you” (Exodus 23:27-28). By the second day of the Six-Day War, the Egyptian army had fallen into that same kind of confusion. Orders from Egyptian commanders contradicted good sense, calling for unnecessary retreats and withdrawals. The Israeli army expected to face a serious battle at the heavily defended Kusseima outpost in the Sinai, but as they drew near, they heard explosions. When they arrived, they discovered that the Egyptians had destroyed their own equipment and abandoned the base. At other bases, the Egyptians had not even bothered to scuttle their equipment before fleeing. Several Bible stories tell about Israel’s enemies succumbing to a supernaturally induced panic and fleeing so quickly that they left their equipment and supplies strewn behind them: “All the way was full of clothes and equipment which the Arameans had thrown away in their haste” (2 Kings 7:15 NASB). A similar supernatural terror befell the Egyptian army. After the Egyptian minister of defense, Field Marshal Abdel Hakim Amer, heard about the defeat at Abu-Ageila, he inexplicably ordered all his units in the Sinai to retreat to the west bank of the Suez Canal. Some members of the Egyptian army offered the Israelis initial resistance, but soon they all fled their positions, leaving their heavy equipment behind. Israeli ground troops advancing into the Sinai found numerous Egyptian positions simply abandoned, with tanks and heavy armor left in perfect condition. They acquired so much abandoned Egyptian armor that after the war they had enough to outfit five new brigades. **To read the entire article, become an FFOZ Friend and have access to this and all previous issues online. To request a free subscription to receive future issues click here.